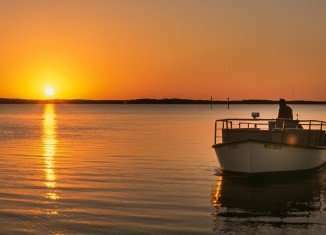 A man in a boat fishing near the coast of Chokoloskee Island, Florida. If you haven’t heard this expression being used by your child or children you know by now, then perhaps you are really ultra calm and subdued! Good for you! One of the absolute pleasures of summer is being able to take it down several notches, letting the rules lapse ever so slightly, chilling and relaxing aka chill-axing. What’s always wonderful is to see how quickly kids can put it into slower mode and whether they want to admit it or not, actually enjoy doing so! I would argue though that while just the presence of summer sunshine casts a whole new light on just about we do on a daily basis, we likely end up being even more busy in the summer months (many of us), trying to capitalize on every drop of those warm rays. But I digress! We’ve signed our kids up for camp here and there with a week break in between here and there so they can experience the joy of chill-axing. Of course vacation time is sprinkled in, along with weekend get-aways to try and enjoy every last ray of sun. In the course of slowing down, we’ve had the opportunity to do things we don’t always have enough time to do properly. Summer reading, art, gardening. All these and other activities will be give more of our undivided attention during these two holiday months. It quickly becomes an interesting study. In our house, we’ve institute an hour a day of reading, writing and some light school work, to keep the wheels greased and moving. In the beginning it was met with a little grinding of teeth by the two older kids, but very quickly they loved it and now take the initiative to do it on their own. It boils down to one hour of quiet. It can be split into two 30-minutes sessions or whatever works. The sound of silence is heavenly. It makes all of us appreciate how golden quiet surroundings truly are. If you consider the noise pollution that dictates are environment today, we truly don’t have a minutes’ peace. You know, the kind where you can hear yourself think. These days it’s not even always available at the park. I’ve quietly observed as my kids have grown to appreciate that engaging in one activity with their complete attention is not only possible, but thrilling. They are engrossed with no electronics devices, shiny, flash objects involved. It has allowed them to discover their imaginations, delve into their creative side, make connections, ask more questions, get quality answers, reflect, listen, and truly tap into the power of their minds. And above all appreciate this process. By picking up a book, sketch pad, or blank story-writing paper, they’ve discovered the hidden joys that live when the volume is lowered and the mute button is. A true gift for the mind, body and soul. "This video provides a thorough overview of the many subjects a new mother and even a repeat mother should be aware of. The information is presented clearly, succinctly, and the corresponding video footage adds credence to what is being discussed. I would recommend new mothers and healthcare providers be made aware of the content of this video."